If you have been planning a city break or even a longer vacation in New York, you will love today’s deals. 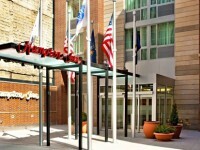 You can book for instance the Hampton Inn Manhattan hotel for $129 per night saving up to 40% off of regular prices if you stay nights between January 1 and March 1 2015. Some other freshly found deals are the 4 star Sheraton Times Square Hotel with 40% off from $169 per night, nationwide car rental deals – in New York as well – starting from $18.64 per day or cheap flights to New York City from major US and Canada cities. Act fast, the best deals are always the first to sell out! 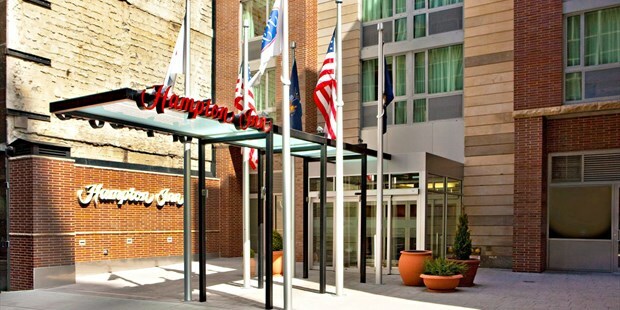 You can get a Standard Room for lower prices at the 3 star Hampton Inn Manhattan, from Thursday to Monday for $129 per night, from Tuesday to Wednesday for $159 and on January 1 as well as February 13-14 for $169 per night. The family friendly hotel is located only one block away from Grand Central Terminal and the Chrysler Building, in the Turtle Bay neighborhood that is home of the United Nations. Note that as an extra, all guests get hot breakfast for free daily throughout their stay. Book this great New York hotel deal, but check some merchants from the box for a quick price comparison to see if there is a better hotel deal of similar category out there. This entry was posted on Saturday, December 20th, 2014 at 12:44 am and is filed under Hotel Deals, Top Deals. You can follow any responses to this entry through the RSS 2.0 feed. You can leave a response, or trackback from your own site.